Hot summer days and long summer nights are upon us! Backyard barbecues, swimming in the sun and a special holiday celebration take center stage this month! To start off with a bang, we celebrate Canada day on July 1st and Independence Day on July 4th. This month’s newsletter is full of interesting information and helpful tips! 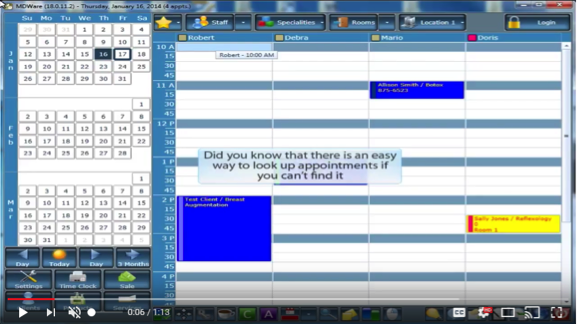 Learn how you can locate your appointments easily by watching the Tip of the Month video and read the Product Alert section to find out how you can import, view and search through images with Picture Manager. Be sure to read the featured article to discover ways you can differentiate yourself from other medi spa businesses so you can gain a competitive advantage. 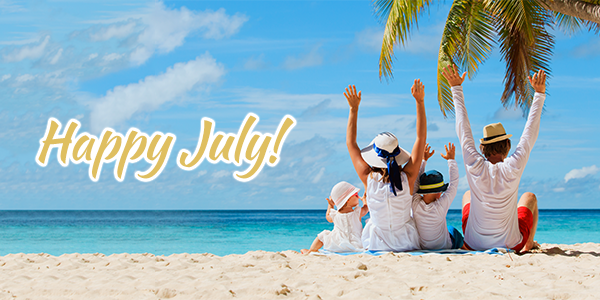 Have a Safe, Happy & Productive July from Blake and the Team! MDware’s Picture Manager has now evolved into a new and powerful tool for viewing and managing your pictures. The new Picture Manager will allow you to easily import clients’ pictures or take pictures though a connected webcam on your desktop or tablet. It displays before and after pictures with ease and allows you to search photos in the client’s profile as well. Contact us today to learn more! In today’s competitive world, you can find a Medi Spa or Wellness Center on every corner. This makes competing for business very challenging. Many business owners decide to play the price wargame. This practice leads to slim profits or none at all. To compete or crush your competition, you have to differentiate yourself from them. Differentiation is the key to gaining a competitive advantage. In this article, you will find 5 Secrets to Differentiate Yourself, so consumers can find you and choose you over everyone else. This Is called Authority Marketing! It is the best and most economical way to market your Medi Spa or Wellness business. • The technical definition of Authority Marketing is: the strategic process of systematically positioning you and/or your medi spa as the leader and expert in your community for what you do. • It’s the art of positioning yourself and/or your business as the authority, as the celebrity, as the credible expert to make you and your business the ‘go-to’ medi spa. Secret #1. Write articles, blogs and publish a BOOK. Writing about what you do and how you transform people’s lives is a big differentiation factor. What do you think of someone who has written a book? When I ask this question at seminars, I usually receive answers such as: the person is an expert, they know what they’re talking about, they are professional, successful and the list goes on. When I wrote my first book, my business went on steroids! Writing your book will give you the same results. Here are some of the reasons why you should write a book. You might be saying, “Yes Dori, I would love to write a book, but that’s a big undertaking.” My answer to that is, yes you are right, but we have a system to help you write your book in one weekend. 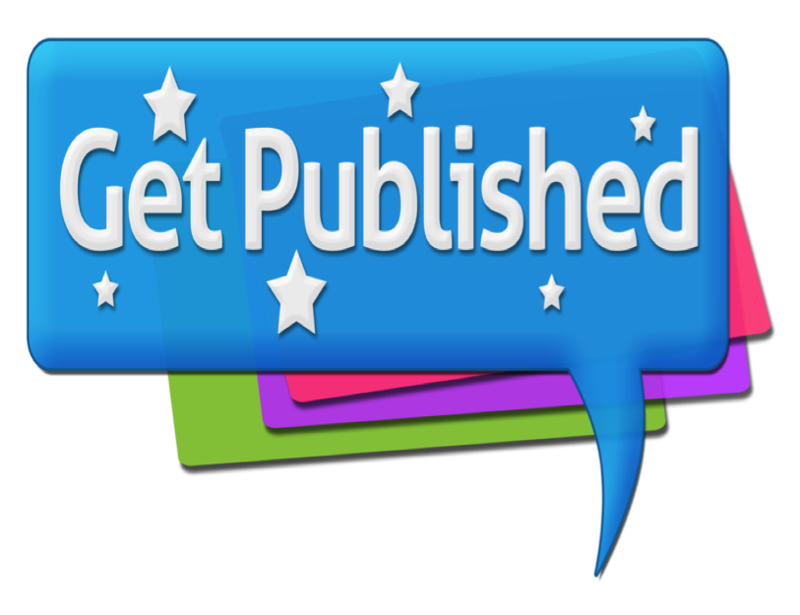 We have helped many professionals just like you become published authors. 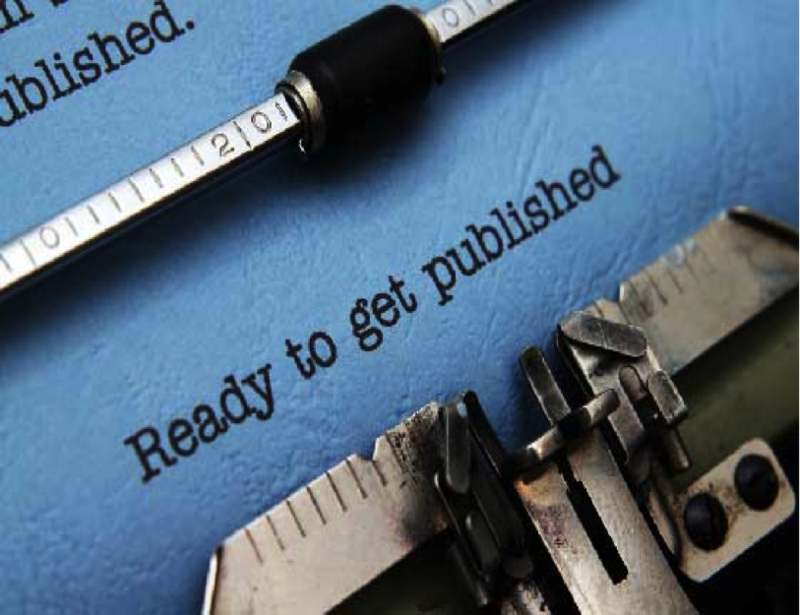 We can help you become a published author too! “Write Your Book In One Weekend” seminar experience. and join us for the next seminar! Secret # 2. Provide valuable consumer tips with VIDEOS. Video marketing is one of the most effective ways to show differentiation on your website. When consumers visit your website and see your videos with tips on how to address concerns, they will view you as an expert. You should have a YouTube channel filled with videos on how you help members of the community and how you transform people’s lives. There are many different types of videos you can publish. Tour of your facility, consumer tips, case studies, success stories, testimonials, what’s new, and more. Need help creating new videos? Reach out to www.360BusinessVideos.com to view samples. Secret #3. SPEAK, do Podcasts and Webinars. Speaking is another great way to practice Authority Marketing. You can start small, by doing Lunch and Learns, move on to medi spa events, then public speaking. The more you speak, the more of a celebrity you become. People will recognize you as the go-to-person for your expertise and for what you do. Your name will become familiar and more people will be talking about you and what you do. After all, word of mouth is still the best form of marketing. Secret # 4 Host Educational EVENTS. There are always new treatments, technologies, and solutions to concerns people have. The best way to promote your new medi spa treatments and/or medi spa products is by hosting educational events. Consumers will view you as a forward thinker, an expert, a person who is always seeking new solutions and treatments. When you educate members of your community, they will purchase from you. Remember to always make an offer at the end of your educational events to generate revenue. Secret #5. Publish Case Studies, Success Stories and Testimonials. You can tell someone until you are blue in the face how you can help them, but they won’t listen. But if you have success stories and video testimonials from your clients on how you have helped them transform their lives – that is Social Proof. Social Proof is the most powerful way to position you as an expert and help you practice Authority Marketing! When consumers visit your site and see what clients are saying about you and how you helped them, they too will reach out to you. 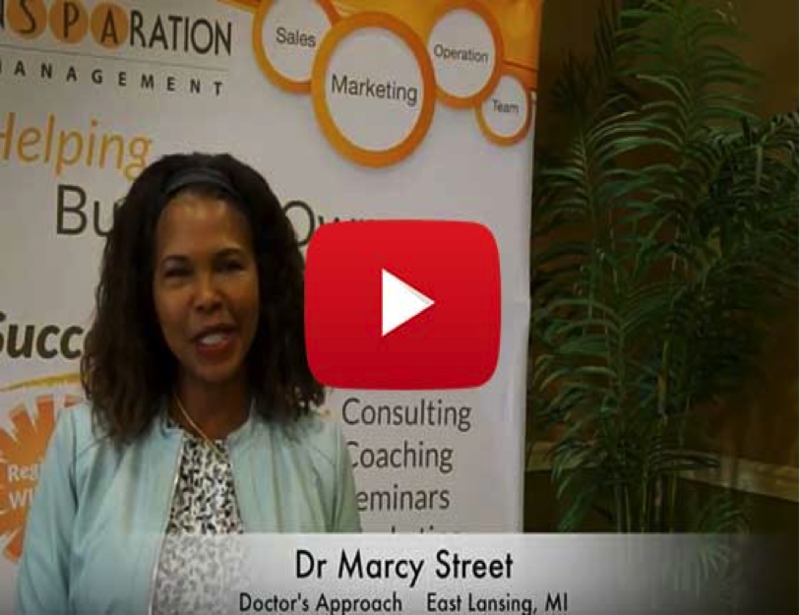 Get your video camera out and start documenting success stories and testimonials. Implement these 5 secrets and you will be practicing Authority Marketing. 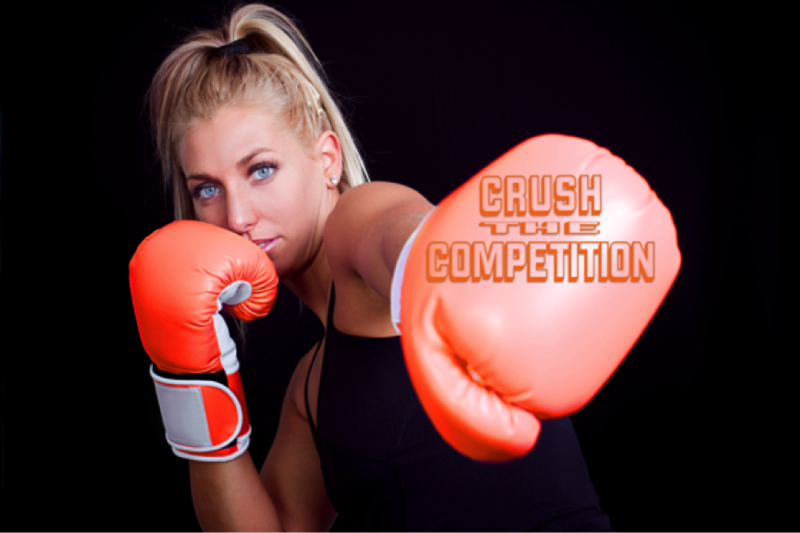 You will totally differentiate yourself and crush your competition! When people visit your website, they will see: your book, your blog, your videos, your educational programs, your testimonials, your success stories and they will choose you over the competition! It’s no longer about price, it’s about your expertise! Carrie has been with the company for over 10 years. She is in charge of sales and assisting Blake with his many tasks in the company. She is very pleasant and helpful to all of our clients. Carrie has a very easy to talk to personality and you can often hear her joking around with her customers. Fun Fact: Carrie loves being outside in the summer playing frisbee and having bonfires!